In war-torn Poland of 1939, all teenage Countess Anna Vladisciuszkowanted was to lead an ordinary life but the world wouldn’t let her. Nazis hated her grandmother’s Jewish ancestry while after the war; communists hated the old aristocracy of pre-war Poland. Only the British where she became a refugee are prepared to help. She is placed in an orphanage under an assumed name but the conditions were hard and under the rule of a sadistic matron. Later, friends Johnny, Sally, Janice and herself are evacuated onto a ship bound for Canada but it is torpedoed and the four find themselves alone one a life raft. Three of them are eventually rescued and taken to Gibraltar where a British officer knows of Anna’s ancestry. The three are given new identities as the Baker family and sent to New Zealand on a troop ship. When the war is over, Anna cannot return home as the communists now control Poland and even in distant New Zealand she is in danger from communists trying to eliminate former Polish aristocrats. 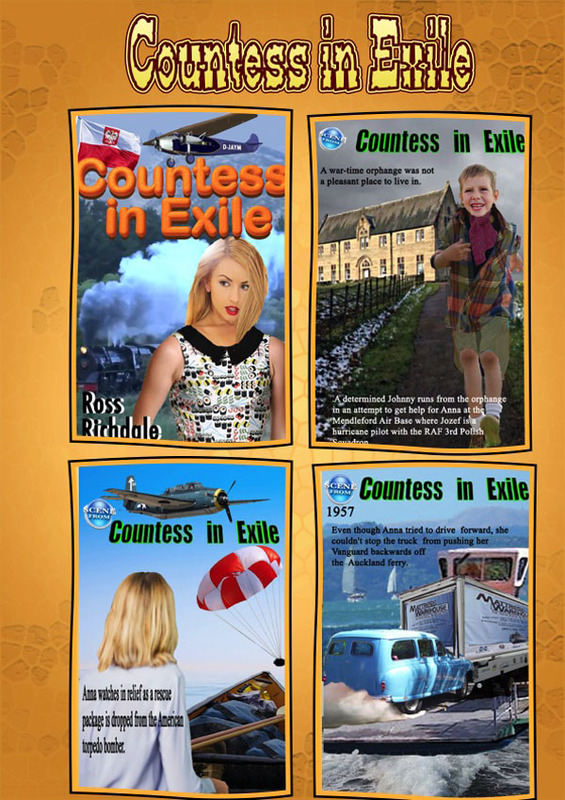 Countess in Exile is a thriller, a love story and the story of human endurance.These are wrapped in a journey that reaches across the world from war torn Europe to New Zealand through the second half of the twentieth century and into the new millennium.